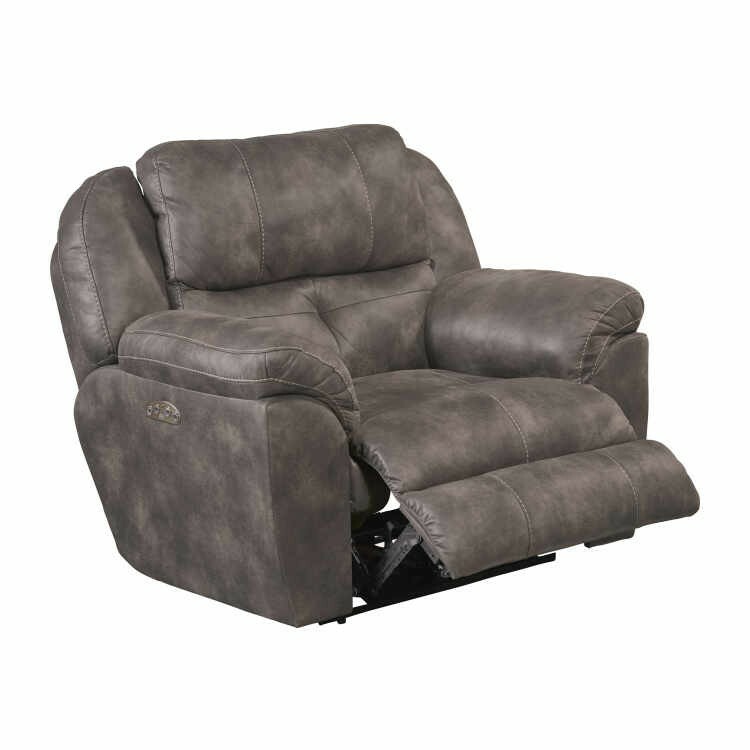 Enjoy premium comfort and convenience with Catnapper&apos;s Ferrington Power Headrest Power Lay Flat Recliner from Carolina Furniture in Sunset, Steel or Dusk. 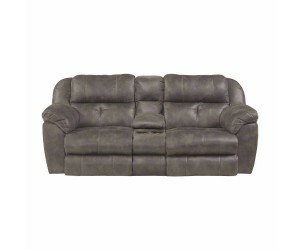 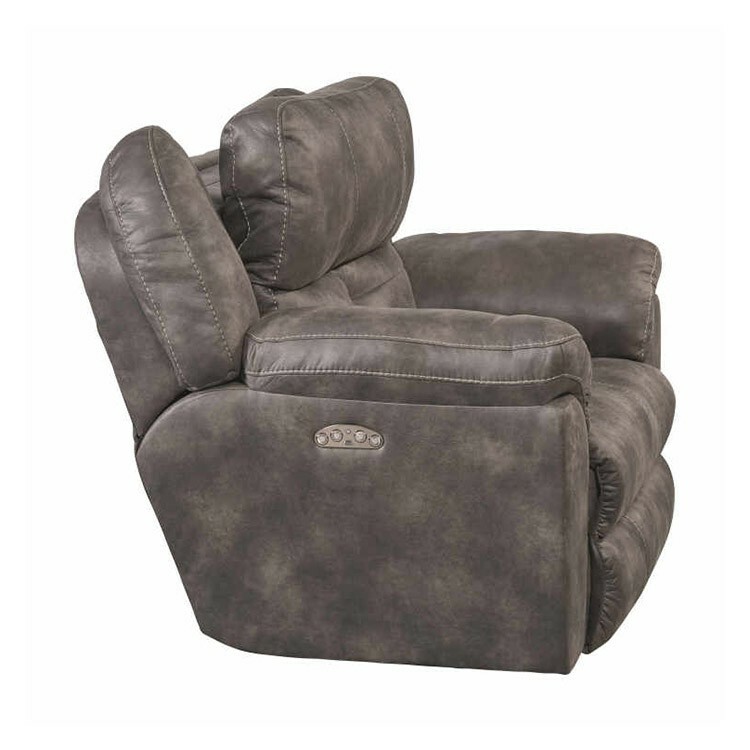 Boasting Comfort Control Panel technology, letting you adjust the headrest and reclining functions with just a push of a button, this faux leather recliner also includes an integrated USB port. 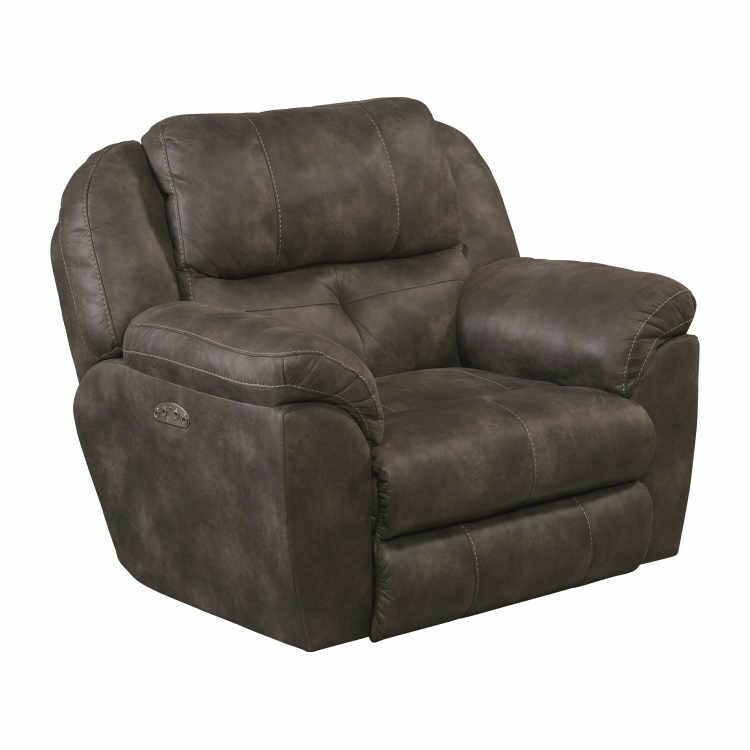 Quality-crafted for long-lasting durability and stylishly designed with decorative luggage stitching and plush padding, this extra-wide, lay-flat recliner makes an attractive addition to your home&apos;s décor.